Senna artemisioides (syn. Cassia artemisioides) also called Feathery Cassia, puts on quite a show with its masses of fragrant bright yellow flowers and gray-green foliage. As the common name indicates, the foliage is “feathery” in appearance making it an excellent choice for visual texture in the landscape. Plants can bloom year-round with their largest flush in late-winter through spring. As a legume, plants produce flat pea pods after the flowers are spent. The pods emerge a bright lime green and then turn to brown as they dry. Plants need a full sun location and well-draining soil, as they don’t tolerate excess moisture. If planted in shadier spots, plants will tend to grow taller, more openly and foliage will turn green. They’ll also bloom less. Once established, it’s best to restrict extra irrigation as plants can become chlorotic with too much water. 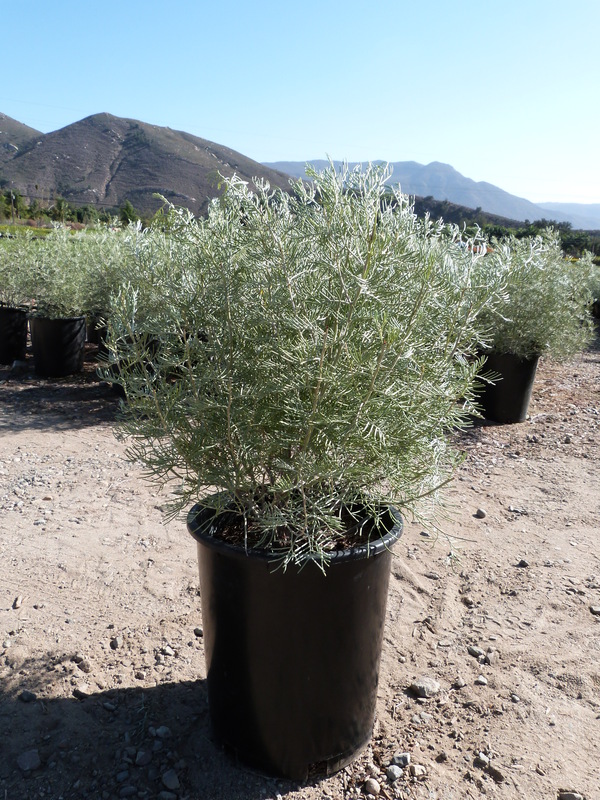 Heat is no problem for this tough shrub and it’s also resistant to deer damage. Plants are best left to grow into their natural shape, but you can shear or tip-prune if necessary.